Happy Friday! We have an all new photo roundup of reality star sightings for you! 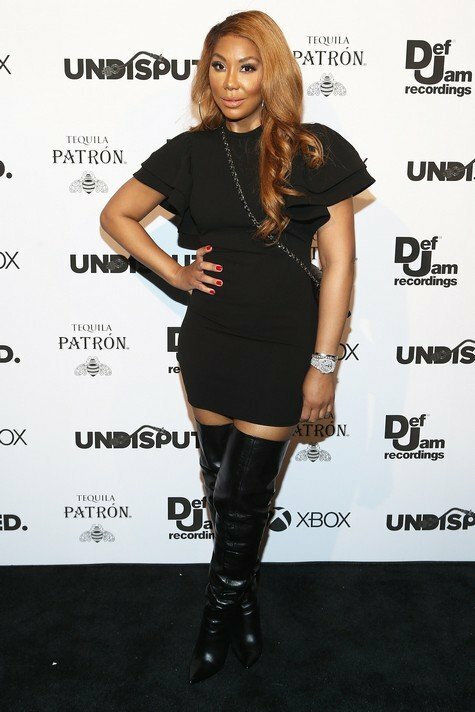 Tamar Braxton attended the Def Jam Celebrates NBA All Star Weekend at Milk Studios in Hollywood. Former Real Housewives of Atlanta star Claudia Jordan attended Kenny “The Jet” Smith’s annual All-Star bash in Hollywood. On the other coast, her former co-star, Kandi Burruss was hanging out with Cuba Gooding Jr. and others backstage at “Chicago” on Broadway in NYC. The now-former Teen Mom OG star Farrah Abraham was photographed at the Couture Against Cancer event in L.A.
Vanderpump Rules star Lala Kent was in NYC to do an interview with Jenny McCarthy at the SiriusXM Studios after her appearance on Watch What Happens Live. Check out these and more (like Yolanda Hadid and Khloe Kardashian) in the photo gallery in below!